The average American spends over 101 minutes per day driving, which amounts to a total of almost 38,000 hours over the course of their lifetime. People use their cars for everything including simple errands like running to the store for a forgotten container of tomato sauce, getting to and from work, and everything in between. For most people, having a car is an essential component to their livelihood, especially if they don’t live somewhere with public transportation. There are very few things that are as frustrating as having car trouble, especially if you have paid a lot of money for your vehicle. Repairs can take up valuable time, money, and zap all of your energy. It’s even worse if those repairs come after you’ve had to pull over on the side of the road. Regular maintenance can help reduce the chances of a breakdown or major malfunction. However, even with regular maintenance, there can be unexpected problems with your vehicle, some much more severe than others. Jaguar owners don’t often report problems as they are very reliable vehicles, but one common issue they face is unintended acceleration while braking. This can be incredibly unnerving especially when you are trying to come to a stop and your vehicle accelerates instead, potentially putting you and your passengers at risk. Acceleration functions somewhat like fire. It can be wonderful and very useful when providing energy, but unintended acceleration can be deadly. This happens when the electronics in your car cause the throttle to open wide. This makes it difficult for you as the driver to bring your car back to an idle position if it is still in gear. Additionally, this severely limits your ability to brake and bring your vehicle under complete control. As a vehicle driver, you might then be left at the mercy of an uncontrollable car. Sudden acceleration issues in vehicles result in millions of injuries and deaths worldwide. What causes unintended acceleration while braking? The primary reason that you might face unintended acceleration when you are braking is that the electronics in your Jaguar are malfunctioning, specifically the electronics that control your powertrain. When this happens, throttle mechanisms don’t function properly. 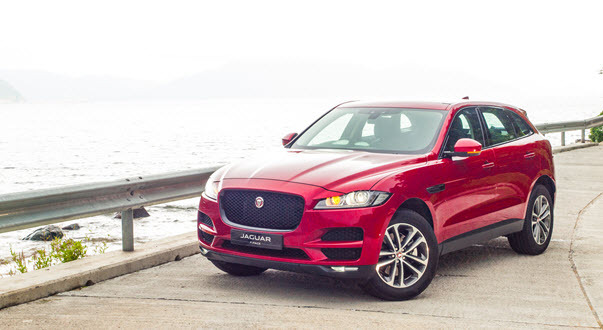 Obviously vehicles are manufactured as safely as possible today and there are throttle control mechanisms built into newer models of the Jaguar and other makes. However, malfunctions happen, so sudden acceleration remains an issue and it is important that as a driver you understand how to deal with it. When does takes place, and it can happen at any time, you need to be aware of your surroundings and know how to respond in order to come to a safe stop. 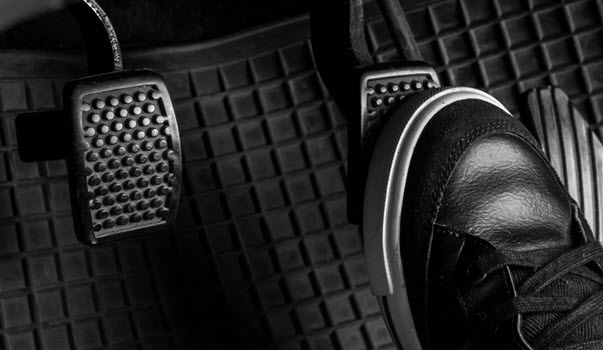 If you have unintended acceleration while braking, you need to hit your brakes as hard as you can. Pumping the brakes steadily will not work. The brakes will need additional force, much more than you usually muster, so hit them as hard as you can. If you are in an emergency situation, ship your vehicle into neutral if possible. Remember that when this happens your throttle is wide open, so it is better for you to turn the car into neutral as quickly as possible. Once that is done you want to turn off your engine, pull off the road, and call for help. The key with situations like this is to avoid panicking as it will make it much worse and much harder for you to remember the steps to follow. Knowing what to do in the event of a problem can help you prepare yourself for such situations. Equally important is knowing who to turn to when these issues take place for professional assistance. Whether you need help with this type of issue or you simply want to schedule some of your regular maintenance, give us a call. We can help ensure that your Jaguar is as well-maintained and safe as possible. If you are a Jaguar owner and you are having issues with unintended acceleration, call us to schedule an appoint with A&M Auto Service. Our team of certified technicians can give you a hand if you are having unexpected acceleration problems. We are just a short drive away from Pineville, Charlotte, and Greensboro, NC. * Jaguar F-Pace image credit goes to: teddyleung.